Is this the Hunter version of Babbling Book? 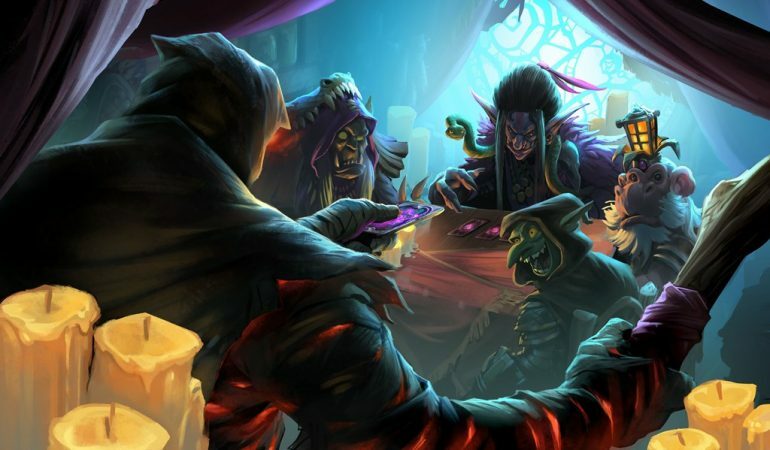 Shimmerfly, the latest card revealed for Hearthstone’s Rise of Shadows expansion, is a one-mana, one-attack, and one-health Beast. When it dies, it add a random Hunter spell to your hand. 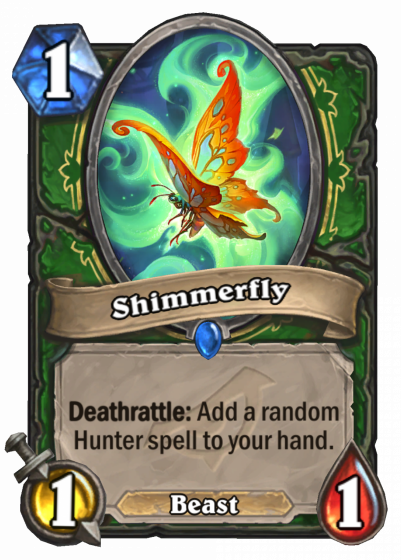 Shimmerfly looks like a great addition to the Hunter class. It can be compared to something like Babbling Book. It’s so cheap that, even if it pulls out a dud spell, it still will often provide some level of value. The card is slower than Babbling Book, but it still has tons of potential for Spell Hunter oriented decks. If you played around Zul’Jin, Shimmerfly would be perfect. It does have a level of RNG though, something that could put a dampener on Spell Hunter. There’s plenty of high-mana Hunter spells that can end up slowing down the tempo of your game. It is a Beast, though. That means it can synergize with a number of Hunter cards and can be used as a cheap and easy activator. It would work around cards like Kill Command and Houndmaster. Even if its Deathrattle didn’t come into use, it would still provide value. Rise of Shadows releases on April 9.